Blogging is more than just about creating an online space for yourself and putting up content there. You have to be the best in order to compete with the best. But even becomes less important when it comes to optimizing your blog for search engines. After all, you want your great content to reach your potential readers, right? Otherwise, what's the point? This is the part where Search Engine Optimization (SEO) comes in. In this post, we'll take our beginner readers through the basic SEO process - things they should implement on their own blogs. Before you move on, make sure you've covered the following parts in our blogging series. Google Webmaster Tools is your friend! Whether you like Google or not, you will have to sign up for Google Webmaster Tools (GWT). GWT is basically a dashboard where you can not only get yourself verified as an official owner of your site, but also get access to a lot of tools, features, and reports. With GWT, you can change how Google sees your website, and even receive messages from Google regarding updates, and errors found on your website. Fetch as Google - Pretty handy for fetching data for your website and submitting it to index to ensure that it's indexed more quickly. The first thing to do after making a proper website or blog is to create a sitemap, and submit it to Google. A sitemap is basically a listing of the contents of your blog, sort of like a table of contents. It needs to be submitted to search engines so they know what content to find on your blog. We recommend that you put up some content first before creating and submitting a sitemap. A round 10 posts on your blog should be enough to get you started. When you submit a sitemap, search engines use the data on that sitemap to locate your site and your data, and index it. You might have noticed that your site didn't appear on Google after you created it. Well, to get it into search results, Google first needs to index it. And to make Google index it soon, you submit a sitemap. To submit a sitemap, you first need a sitemap generator. For Blogger blogs, you can use the tool on the following link. If you're using WordPress, then you just need a plugin called "Google XML Sitemaps". Either way, it's a simple process and only takes a few simple instructions. Now that you're a blogger and have started generating good content, it's time you should start monitoring your success. Keep track of your PageRank, which comes out every three months. The last one came in February this year. You should also keep a check on your Alexa Toolbar ranking. For monitoring your website statistics, you should use Google Analytics. 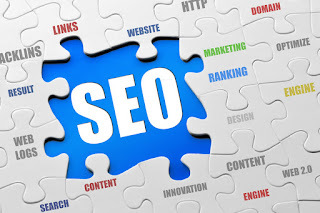 We have shared many SEO tips with our readers before. Here is a round-up of some of the posts we've written. Check them out! Thanks Qasim bro nice tips about SEO tips. These are really all helpful tips for newbies even for probloggers. We like this post. Nice points you have made. It really helped me! Seo tips are so descriptive and great information sharing by author. Its really helpful for us. nice post..It is very informative thanks for sharing.